Q1) Tell us a bit about your books. Q2) What do you love about writing? Q3) What has your journey to publication been like? Q4) You write in different genres – do you have a favorite genre? 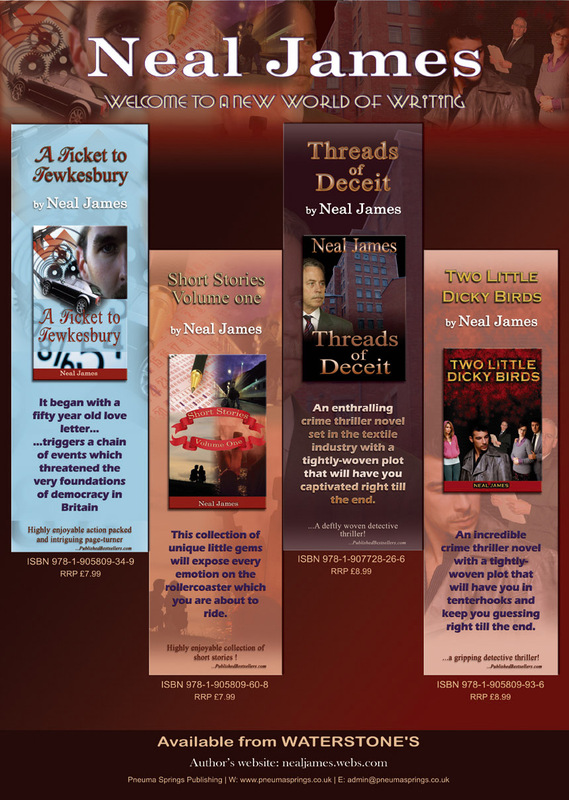 Neal James is the author of four books: 'A Ticket to Tewkesbury', 'Short Stories - Volume One', 'Two Little Dicky Birds' and 'Threads of Deceit'.These novels are available on Amazon Kindle and Google Play. Soon to be released on Kobo.